We began providing weekly swimming pool cleaning for a Scripps Ranch homeowner with an infinity edge pool in San Diego. The pool equipment is below the swimming pool and spa. Our pool service technician attempted to clean the Pentair Whisperflo variable speed pump basket after turning off the two way ball valves. Although the valves were in the off position water kept coming out of the pump once the lid was removed. 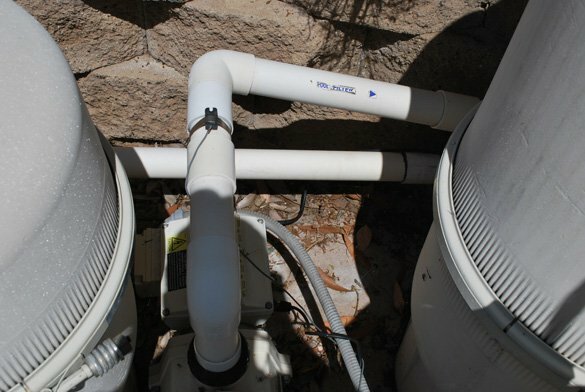 The service tech notified our office so we quickly scheduled an equipment repair technician to look at the pool plumbing and come up with repair options. 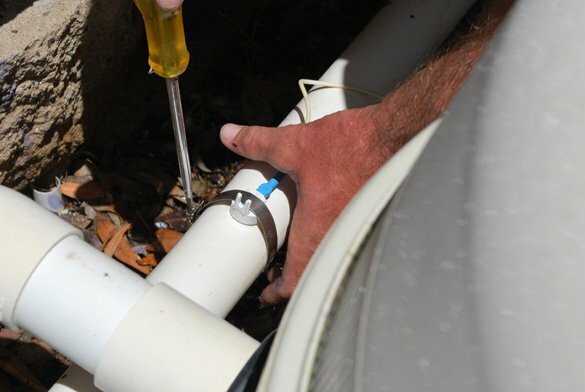 During the plumbing troubleshoot we also found that the pool temperature sensor was not working. 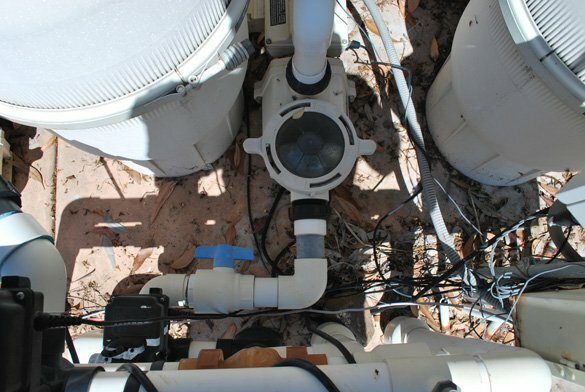 To begin the pool plumbing repair we removed the 2 way ball valves that were no longer closing all of the way. 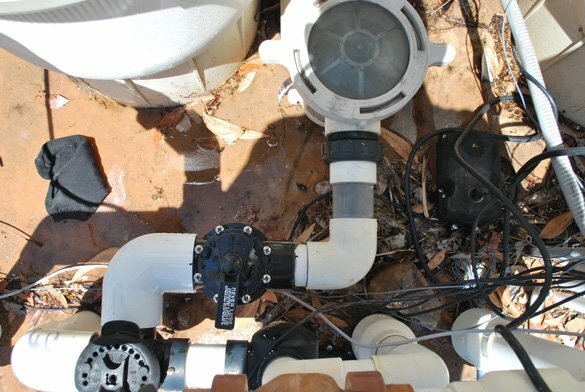 Once removed we installed a Jandy 2-2.5 inch two way NeverLube valve on the suction side or inlet of the variable speed pool pump. We then attached the new valve and plumbing to the whisperflo pump with a hi temp union. 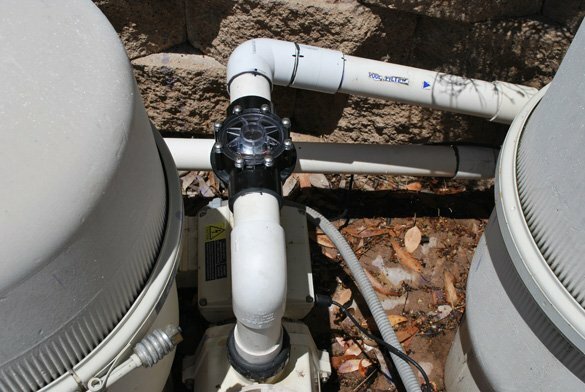 On the return side or outlet of the pool pump we installed a Jandy 2-2.5 inch swing check valve with a clear top. Both of the Jandy valves installed have covers with screws allowing repairs to be made to the valves in the future with no need to replumb. 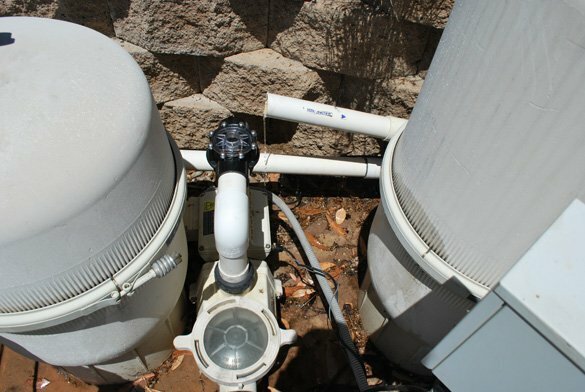 After the plumbing repair was completed we replaced the the old Pentair Compool TS5L linear temperature sensor with a new Pentair 20’ temp sensor.